Bright, beautiful and packed with flavor! 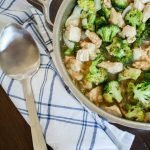 This nutritious, one dish dinner idea is a family favorite for busy nights. 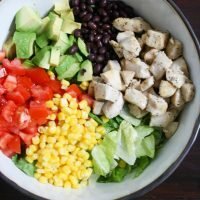 Southwest Salad combines lots of veggies like avocados, tomatoes, and corn with black beans, chicken and a homemade greek yogurt dressing! 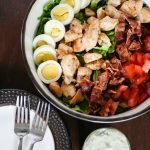 The first time I made this Southwest Salad, my husband said it was his favorite salad I had ever made! He said it was like a taco salad but without the tortilla bowl. It’s become a favorite at our house now. I think I used to underestimate salads. There is just SO much you can do to dress up a salad, change the flavors and add lots of nutrition. This salad is absolutely loaded with flavor and good-for-you ingredients. It’s high in protein thanks to the chicken and black beans. The avocado and cheese provide healthy sources of fat, and the tomatoes have lots of antioxidants and vitamins. In addition to all those healthy ingredients, I also made my own salad dressing. 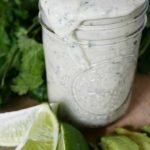 Making homemade salad dressing is so easy, so I try to do it as often as possible to avoid all the extra ingredients they add to store-bought salad dressings. 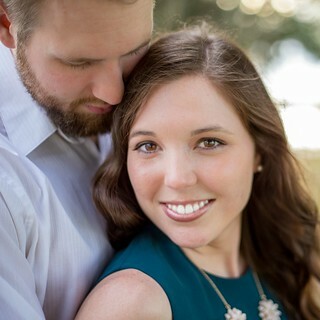 When I was pregnant, one of the things I heard a lot when it came to eating well was to “eat the rainbow.” That meant getting lots of different ingredients, especially fruits and vegetables. 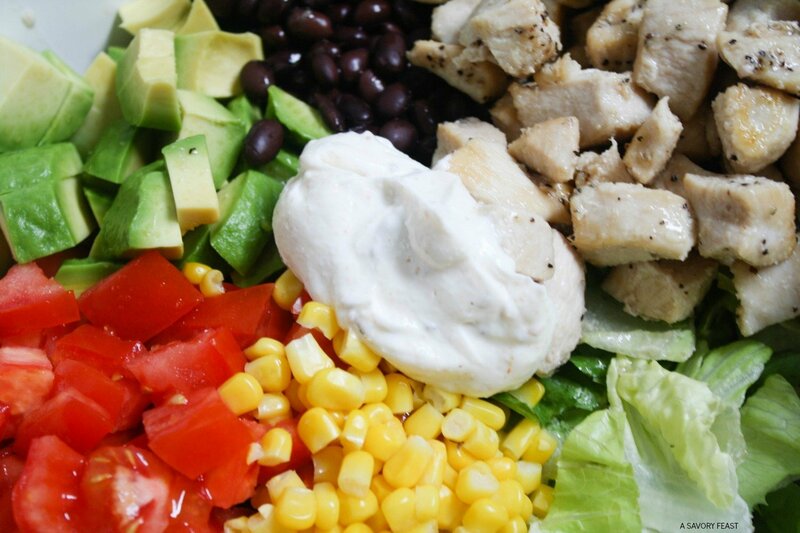 This salad definitely counts as eating the rainbow, wouldn’t you say? 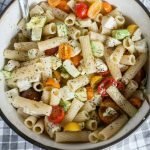 This salad is best served cold, so I highly recommend making it a couple hours ahead of time and keeping it in the fridge. Garlic powder, onion powder, oregano, chili powder, paprika, cumin, salt and pepper to season. 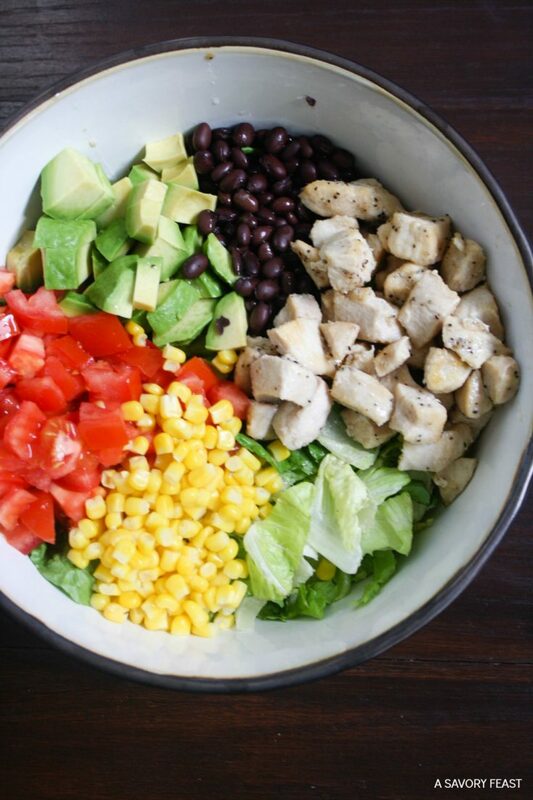 Place romaine lettuce, chicken, corn, black beans, diced tomato, diced avocado and cheddar cheese in a large salad bowl and toss to mix. In a small bowl, combine the greek yogurt, olive oil, lime juice and seasonings. Pour this dressing over the salad and mix well to coat. Serve immediately or place in the fridge until ready to eat. Are you a fan of salads? What is your favorite salad recipe? This salad is utterly swoonworthy. 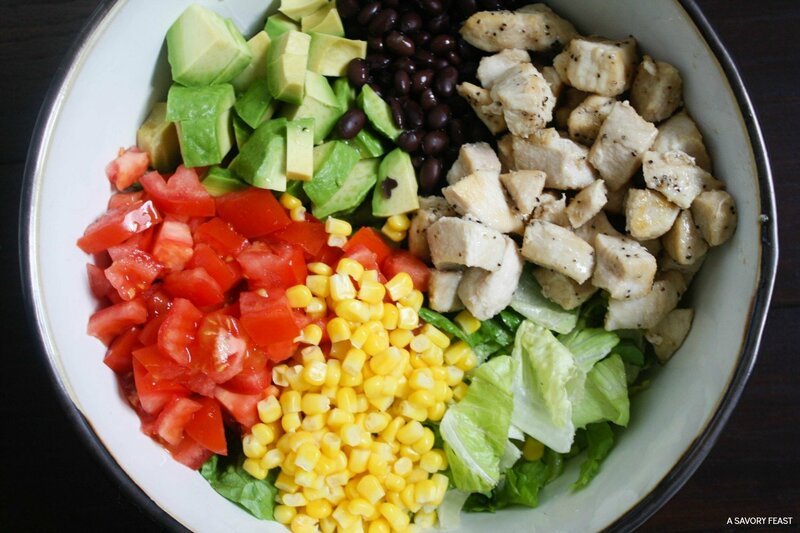 I’m a huge fan of colorful salads, and this is just perfect for that. I cannot wait to make this for the fam! Thanks, girl! The more color the better, am I right? This salad reminds me of summer for sure! 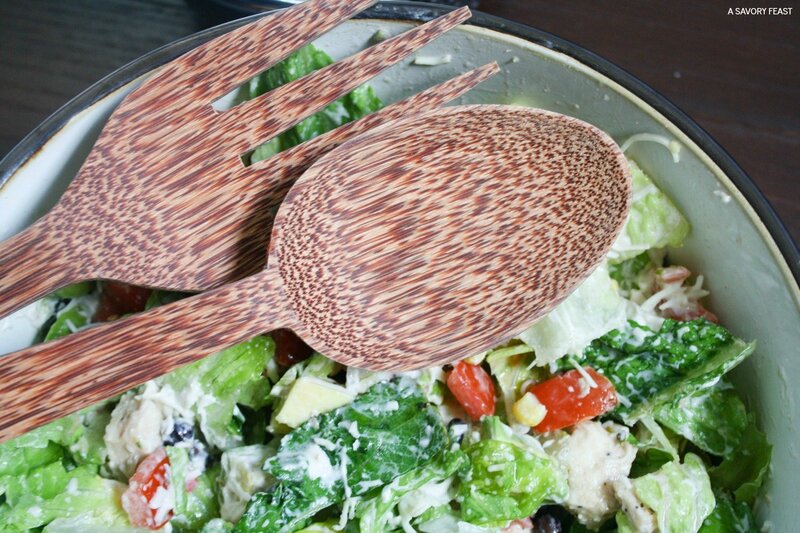 It’s perfect for your colorful veggie loving family.